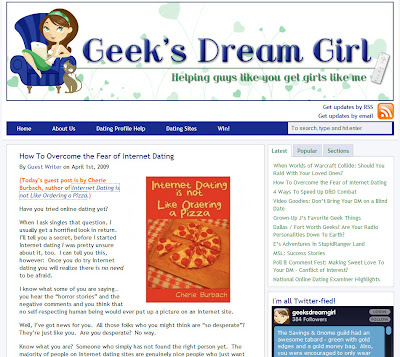 How great a name is Geek’s Dream Girl for a blog? I loved this concept! And the blog is fabulous. It’s also the second stop on my virtual book tour. Check out my post on How to overcome the fear of Internet dating. (You know some of you folks are afraid to Internet date! You tell me that all the time – now click on over and get some advice!